Join us for the Milwaukee Gospel Jubilee! 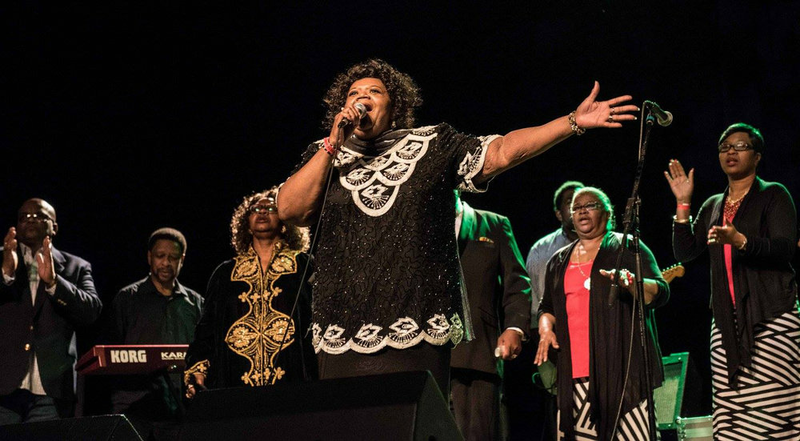 Milwaukee Gospel Jubilee brings together generations of our community’s best gospel performers for a showcase of immense talent and a night of jubilant celebration. The Jubilee benefits Progressive Community Health Centers, with proceeds from ticket sales supporting the agency’s work to provide medical and dental services to people of all ages and incomes. Milwaukee Gospel and Colectivo Coffee Roasters are excited to bring you another soul-stirring season of free performances, at a new time — Sundays from Noon – 2 pm. As a lead-up to the annual Gospel Jubilee at Marcus Center for Performing Arts — Wilson Center at Vogel Hall on March 8, Gospel Brunch offers sneak peek performances with a rotating lineup of Milwaukee’s top gospel groups in the quartet tradition. Colectivo offers food and beverage specials during Gospel Brunch. Tickets to the annual Milwaukee Gospel Jubilee are available at the Brunch for $25 each. All donations and raffle proceeds support Progressive Community Health Centers' work to provide medical and dental services to people of all ages and incomes. Since 1999, Progressive Community Health Centers has provided high quality, comprehensive medical, dental and integrated behavioral health care services to patients of all ages and incomes. As a thriving, trusted focal point in the community, we work to build neighborhood assets and eliminate health disparities. Serving patients of all ages and incomes at three conveniently located primary and one urgent care clinic in Milwaukee: the Lisbon Avenue Health Center (3522 W. Lisbon Avenue), the Hillside Family Health Center (1452 N. 7th Street), 12th Street Urgent Care (945 N. 12th Street, adjacent to the Sinai Emergency Department) and the Kilbourn Avenue Health Center (1218 W. Kilbourn Avenue, inside the Aurora Sinai Medical Center). In addition to offering comprehensive medical and dental care, Progressive CHC provides social services, such as benefit enrollment, health education classes, and specialty referral services. In 2017, Progressive CHC served more than 16,000 patients, more than half of who lived below the federal poverty level. Learn more about Progressive Community Health Centers.